Revelations, epiphanies or just flashes of clarity – I often experience these moments while out riding – I’m relaxed, enjoying myself and my mind is free-wheeling in thought. All of a sudden the light switches on and I realise that a problem I haven’t been consciously thinking about is solved. The other end of the spectrum involves moments I class as “bricks”. The process also involves recognising a solution but only after my barriers of pre-conceived or rationalised ideas have been totally smashed and I surrender to the inevitable. I had a successful weekend with my mare Joby despite catching a few bricks. With the first reports of the Glove Back Country boots, I was pretty excited with the possiblity of using pads in a new version of my favourite Glove boots. Joby is pigeon-toed, paddles and is very good at flinging off or twisting her boots. She also seems to really feel the difference between hard and soft roads even in boots so it would be great to use hoof pads. After using Gloves for so long I have started struggling with just the thought of all that extra hardware and fiddle by substituting Epics – pathetic I know. And I haven’t been keen on power straps to help tighten up the fit of the Gloves either – my attitude: a good fit is hard enough to get on without adding power straps to the mix. 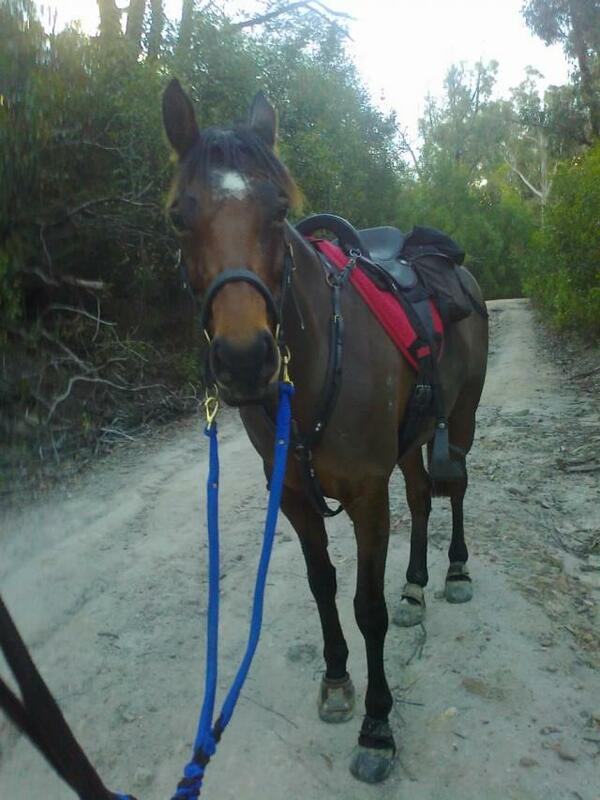 So we start our 86km ride with Back Countrys and hoof pads on her front hooves and Gloves on her hinds. Luckily I was riding with two friends who also ride their horses in Gloves because I had a few hiccups that only special friends would understand. Within the first 10km both pads were out of the boots and in my stowaway – Joby hadn’t lost either boot but they’d twisted badly. Without pads they stayed in position nicely for the remaining distance of the first 43km leg without apparent rubs so I decided to keep using them for the second leg as well. Similar to the first leg, one of the Back Country boots twisted again – possibly that little amount of stretching from near-new to more used, made the difference. This time the wrong position caused a rub on the back of Joby’s heel. If it had been a Glove I possibly would have lost the boot, maybe torn the gaitor in the process, but avoided the rub. I was ready to pull Joby out, not wanting to risk the rub getting worse. 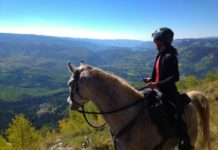 My two riding buddies stepped in – Ms. Years of Experience plus Ms. Meticulous Preparation had Joby’s heel taped over in duct tape for protection, then her whole hoof wrapped in adhesive tape for extra grip, and my spare Glove exchanged for the Back Country boot. 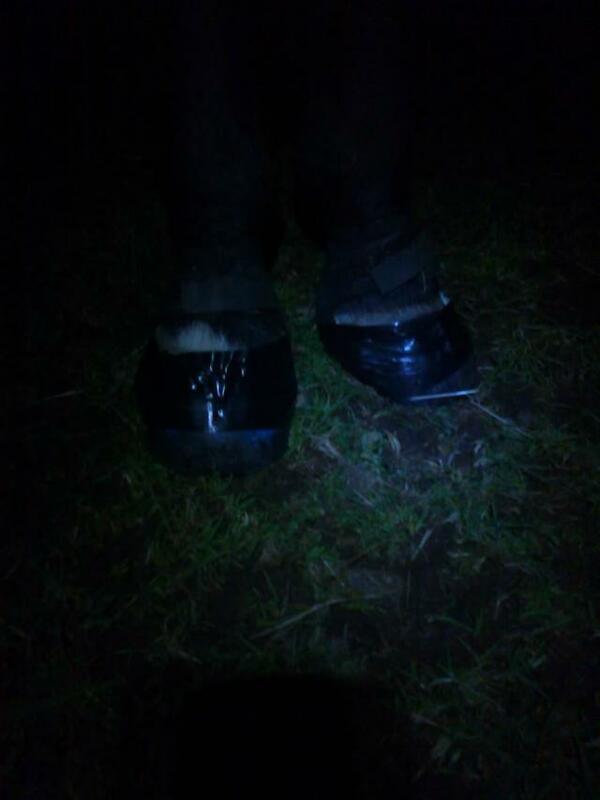 Then we taped her second hoof for extra grip and reapplied the other Back Country boot ‘cos I was only carrying one spare… Neither boot moved further, we finished the ride and vetted through, and Joby’s rubbed heel was no worse than the minor rub first noticed. It was soon after my rescue by my riding buddies that I felt the bricks hit – ouch! I’d wanted the easy option instead of trying a bit harder to get things right. 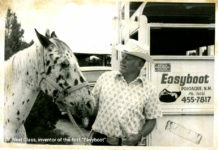 I thought I was embracing new technology – I actually was looking for an easy fix. 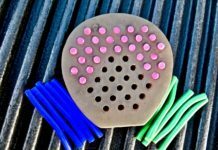 I thought I had a relaxed attitude – post-brick I realise it was just lazy wishful thinking. 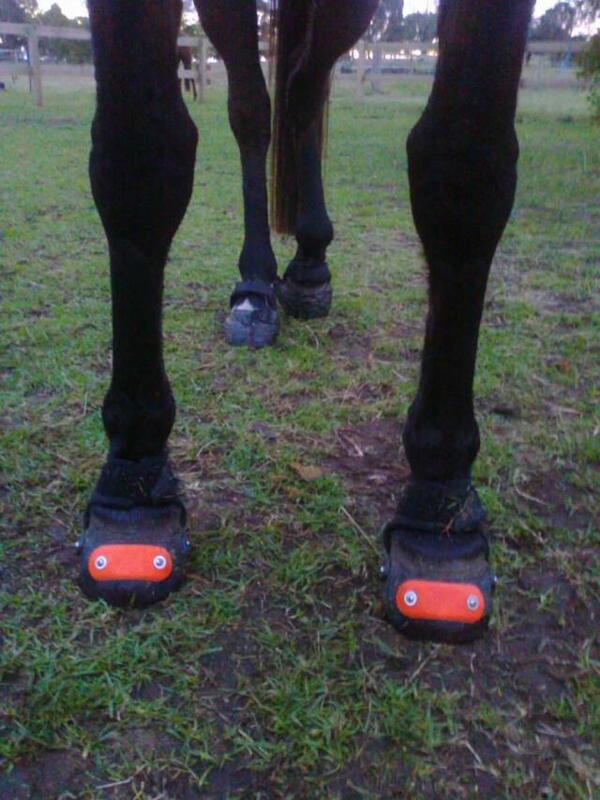 My friend who is never sure whether the boots will stay on her horse, takes great care to prevent problems by wrapping the hooves with adhesive tape. She never loses a boot. Appearing to be worried and distrusting, she is actually extremely meticulous and conscientious in her preparations. My other more experienced friend doesn’t lose boots either, but from experience she does have a more relaxed attitude. She will wrap her horse’s feet, uses power straps, uses other boots such as Epics or do whatever else is appropriate for the occasion. She hasn’t just experienced the problems, she learns from them. What can be seen as lucky with boots, is the result of years of constructive use. While me at home, I’ve been too busy to think about what is going on, just wanting to use my time to ride, not to take the time to figure out how to get the best ride. My quick-fix to a boot that wasn’t fitting so well? Duct tape. I just hoped I didn’t get seen by anyone while out riding: a safe bet at 5 AM when it’s dark but not so good on a sunny afternoon – double ouch. Power straps, mini Sikaflex pads left permanently in the boots, wrapping in tape when appropriate, and recognising the difference between covering my bets and crossing my fingers – I hope this time I use my bricks as constructive building blocks. That way I’ll get some quality riding time done next time and maybe switch on a light globe or two. I attached power straps last night supplied courtesy of Ms. Experience, and used them on Joby this morning. That brick must have needed to be industrial size because I can’t believe it was still easy to get the boot on, how effective they were, and how nice they looked – and I’ve been avoiding it ever since Joby arrived in my paddock.